Within the PortionPack Europe group we pay attention to our social responsibility in many different ways. Ideally we want to strike a balance between financial security and future-proofing our company, on ecological quality and well-being of our employees and the worlds around us. On the forefront of our efforts is the reduction of packaging material and the responsible sourcing of the materials. 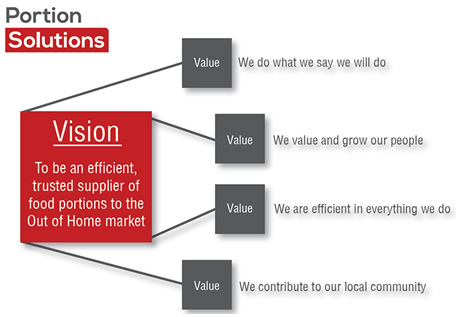 At Single Source we passionately believe in offering choice to our customers. Range of Fairtrade and Rain Forest Alliance products for customers. If you are choosing the Silver Spoon range for your business then you can be assured by the Red Tractor certification for all of the bulk and portion ranges. The Café Express range is both Rainforest Alliance and Fairtrade certified and we offer other ranges dependant on your business needs. To talk to one of the team about the best choices for your business then get in touch today to see how we can help.